As a charitable cultural organization, TIFF simply couldn't offer such a broad range of initiatives without the impressive skills and commitment of our Volunteers. We are grateful for the ongoing contribution made by our many Volunteer teams. If you are 18 years of age or older, your Volunteer journey begins at the Toronto International Film Festival, where you can be a part of the world's leading public film festival, which brings the best in Canadian and international cinema to Toronto every September. After participating with the Festival, Volunteers will have the opportunity to join us year-round at TIFF Bell Lightbox as part of the many teams that support our programming 365 days a year, and at the TIFF Kids International Film Festival, one of the world's premier film festivals for children aged 3 to 13 and held every spring. If you are between the ages of 14 and 17 and you are interested in joining our Youth Volunteer Programme, please contact volunteers@tiff.net to be notified of when our online application is available. Recruitment for this team typically takes place in December. All available Volunteer positions for the 2018 Festival have been filled. We hope you will join us for the next edition of the Toronto International Film Festival when we begin recruitment in the spring of 2019. If you are interested in hearing about future volunteer opportunities, please subscribe to our TIFF Volunteer Alerts for updates via email. Each year we look for film enthusiasts who enjoy engaging with the public, have a flexible attitude toward their assigned roles, possess strong communication skills, and understand that reliability is critical to success. Festival Volunteers receive unparalleled access to movies, tons of exclusive discounts, the chance to make new friends, and the feeling that you helped make it all happen! Read more about the recruitment process here. 1. Complete the online application form: Our application form is available on our website starting in late May. Complete all the required sections, including adding a resume, two references, and your availability. The application is open until our recruitment targets are met — this means there is no set end date. We recommend applying as soon as possible when the application opens or subscribing to our TIFF Volunteer Alerts to receive Volunteer updates. 2. Application review period: Applicants will receive an email response within four weeks of submitting their application. Those accepted into the programme will receive information on the next phase of the recruitment process. Please note: applying to be a Volunteer does not guarantee you will be offered a placement in the programme, as we tend to receive more applications than we have available spots. 3. Attend an orientation session: Those who are accepted into the programme will be invited to attend an in-person orientation session. The sessions will be available for signup on weekday evenings and weekends throughout the month of August. Attendance is required as the session will include important information on policies and procedures related to volunteering at the Festival, as well as a brief interview to complete your registration process. At the session, you will also get to select your Volunteer placement preferences. 4. Receive an assignment: After attending the orientation session and successfully completing the registration process, you will receive your Volunteer assignments based on your selected preferences, availability, and previous experience, and the specific needs of the role. 5. Schedule your shifts: At a specific date and time you will have access to shifts on our online Volunteer Hub. You choose exactly when and where you want to volunteer from the selection of approved assignments. Please note: all Volunteers are required to complete a minimum of four shifts as part of their commitment to the Festival. 6. Training and preparing for shifts: On-site or online training is provided for most Volunteer roles in advance of the Festival. This is an opportunity for you to learn more about what you will be doing on-shift for your specific assignment. It is also a great way to ask questions directly to staff you will be working with or to members of the Volunteer Office. 7. The Festival: Get out there and have fun! Volunteers are the heart of the Festival and bring their energy and enthusiasm while helping hundreds of thousands of avid filmgoers. Between shifts, be sure to catch incredible films and take in the Festival atmosphere. Questions? Contact the Volunteer Office at volunteers@tiff.net or 416-934-5846 for more information. Theatre venues: Providing customer service and front-of-house assistance, including but not limited to managing lineups, scanning tickets, ushering, and encouraging the public to vote for the Grolsch People’s Choice Award. With eight venues in operation, this is where the majority of support is required. Industry Centre: Directing delegates to registration and pass pickup desks, offering information about Industry programming, and assisting with various administrative and operational tasks at Industry venues. Office support: Assisting various TIFF departments with a range of administrative, data-entry, and organizational tasks required during the Festival. Duties will vary depending on the position. ACE: Getting dispatched with on-the-fly notice to help a specific venue or Festival office in urgent need of support as a special “anywhere” ACE Volunteer. If you’re currently an active TIFF Volunteer, please log in to the Volunteer Hub (above) to access your account. Please contact the Volunteer Office at volunteers@tiff.net if you have any questions. 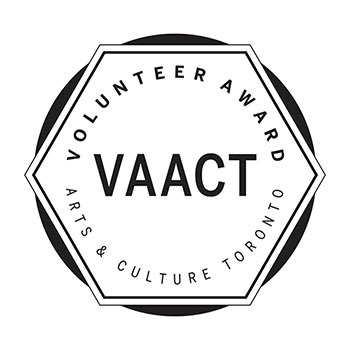 TIFF is proud to be a contributing member of VAACT, a program to recognize volunteers who support multiple arts and culture events and festivals throughout the year in the City of Toronto. Awards are given to Volunteers who complete the minimum requirements with at least four participating VAACT organizations throughout the year. VAACT culminates each year on International Volunteer Day (December 5) with an awards ceremony to acknowledge and thank our Volunteers for their contributions in making Toronto a more vibrant, cultural city. Interested in getting involved? Check out the full list of participating organizations and program details at vaact.org!